Rejuvenating Super Fruits Body Lotion Lime Blossom & Jasmine. Rain, a crystalline scent derived from nature itself, is exquisitely fresh, clean and renewing. Invigorating aromas of dewy clover and spring lilies burst forth to awaken your senses, while a veil of sheer musk creates and aura of delicate sensuality. Pikake Body Wash is a refreshing cleansing gel infused with purifying lemongrass, gingko and lotus. Rain Bath & Shower Gel 8.7 fl. oz. Rain Shower Gel is a crystalline scent derived from nature itself, its notes of Green Clover,Lily of the Valley and sheer Musk create a sense of fresh renewing clarity. White Ginger Hydrating Body Wash 12.5 fl. oz. White Ginger Hydrating Body Wash - Fragrant white ginger blossoms, delicate as butterflies, scent rainforest mists and traditional island beauty rituals. White Ginger scents this rich wash infused with purifying lemongrass, gingko, lotus and green tea. Rain Body Perform Essence 0.3 fl. oz. Renewing Ginseng Body Wash 8.7 fl. oz. Revitalizing Jojoba Body Buffer 8.7 fl. oz. 10% African Shea butter, proven to replenish, renew and nurture skin back to its optimal health, enriches this amazing and intensely moisturizing cream that provides deep therapy for even the driest, chapped skin. Infused with super-softening coconut oil, organic extracts of age-deying acai and goji berries, soothing rice, plus anti-oxidant vitamins C and E, this effective emollient leaves skin looking young, hydrated and glowing. Rain Shea Butter Hand & Body Cream 4 oz. TerraNova Rain Shea Butter Hand and Body Cream softens and soothes with rich shea butter and glycerin keeping skin hydrated and silky smooth. Antioxidants vitamin E and grapeseed protect, while bee pollen helps rejuvenate skin growth and soy helps even skin tone (age spots) and texture. A non-greasy formula that quickly absorbs into the skin. Restore dry, dehydrated skin with this ultra-softening body cream by TerraNova. Lightly scented with Rain, a fresh, clean scent with notes of spring lilies, dewy clover and sheer musk. Pikake Body Lotion - a luxury body moisturizer infused with anti-oxidants green tea and Vitamin E.
Rain Body Lotion Remedy Cream (new package) 4 fl oz. Rain Body Lotion - an exclusive skin softener rich in soothing aloe,anti-oxidant vitamins, and lanolin moisturizers. Rejuvenating Super Fruits Body Lotion Lime Blossom & Jasmine. 8.45 fl. oz. Boosted with an exclusive and potent anti-aging Super Fruits Complex of exotic organic acai and goji berries, Tahitian noni, plus mangosteen, this velvety all-over moisturizer penetrates instantly to visibly improve youthful elasticity, resilience and tone. Its delicate Lime Blossom & Jasmine scent brightens your day. You'll love your new healthy glow. Paraben free. White Ginger Petal Soft Lotion 8.5 fl. oz. White Ginger Petal Soft Lotion - Fragrant white ginger blossoms, delicate as butterflies, scent rainforest mists and traditional island beauty rituals. White Ginger scents this rich luxury lotion infused with purifying lemongrass, gingko, lotus and green tea. Body Cologne Mist 1.65 fl. oz. Spray this tempting bouquet of sun-drenched jasmine refreshed with a splash of sparkling lime blossom and clean, green apricot leaf to capture the essence of a brilliant day. Body Perfume Essence Lime Blossom & Jasmine 0.3 fl. oz. A tempting bouquet of sun-drenched jasmine refreshed with a splash of sparkling lime blossom and clean, green apricot leaf to capture the essence of a brilliant day. Lime Blossom and Jasmine Widely appealing Lime Blossom and Jasmine is a fragrant bouquet of sun-drenched jasmine splashed with sparkling lime blossom and clean, green apricot leaf. 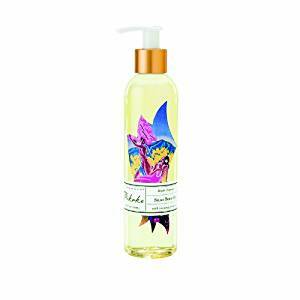 Pikake Silky Body Oil 8.25oz. Pikake Silky Body Oil - pure plant oils, Vitamin E and evening primrose oil, ideal for the bath, afterbath or massage. Rain Massage & Bath Oil 8.7 fl. oz. Love the comfort of your skin with this silky, soothing bath, after-bath and massage oil infused with blissful Lime Blossom & Jasmine essence and amazing Shea oil, long used to replenish and nurture skin back to its youthful best. Blended with rejuvenating evening primrose, anti-oxidant vitamin E and pure certified organic plant oil, this paraben-free, softening emollient enhances resilience and gets skin glowing. White Ginger Silky Body Oil 8.5 fl. oz. White Ginger Silky Body Oil - Fragrant white ginger blossoms, delicate as butterflies, scent rainforest mists and traditional island beauty rituals. White Ginger scents this pure oil infused with Vitamin E and evening primrose. Rain Cologne Mist 1.65 fl oz. 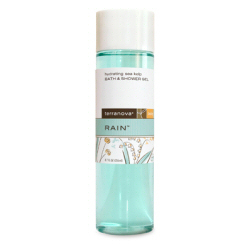 Calming Evening Primrose Body Oil-Rain 8.7 fl. oz. China Lily Perfume Essence 0.375oz. ChinaLily PerfumeEssence - Precious lily embraced by sheer warm musk. China Musk Perfume Essence 0.375oz. ChinaMusk PerfumeEssence - Sheer sensual Musk softened by precious woods. China Rain, Pefume Essence 0.375 oz. China Rain, Perfume Essence - The purest alcohol free and long lasting fragrance. Gardenia Perfume Essence 0.4 fl. oz. Patchouli Perfume Essence .3/8 fl. oz. 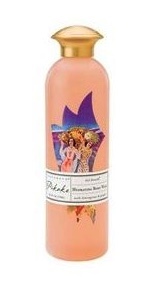 Pikake Perfume Essence .4 fl.oz. 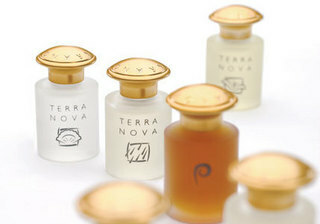 Pikake Perfume Essence - the purest form of alcohol-free fragrance for subtle,yet long lasting sensory impression. 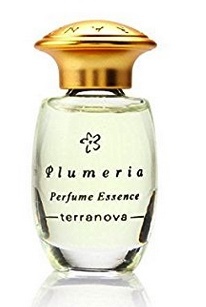 Plumeria Perfume Essence 0.4 fl. oz. 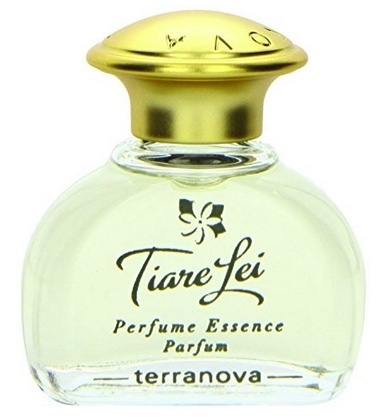 Tiare Lei Perfume 0.4 fl. oz. 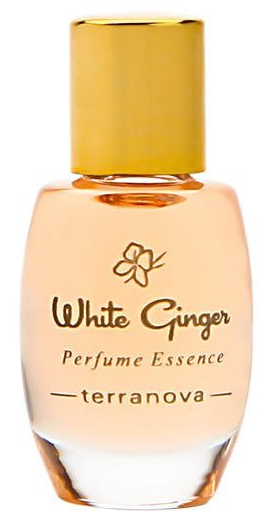 White Ginger Perfume Essence 0.4 fl. oz.